Named after Milan’s famed opera house, La Scala is every inch as grand and impressive as that iconic building in Italy. And the location should be no stranger to most KL-lites, as La Scala is situated where the old Il Lido used to be, right along Jalan Mayang, off Yap Kwan Seng in KL. 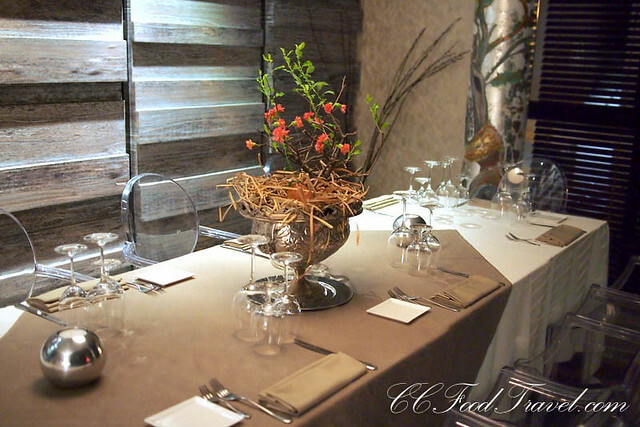 Stepping into La Scala, it is not hard to see why it is a family run business. We were greeted by Folco de Luca Gabrielli, who soon after introduced us to his dad, who happened to be in town. We knew this was going to be an interesting night as so many family members were in the restaurant! 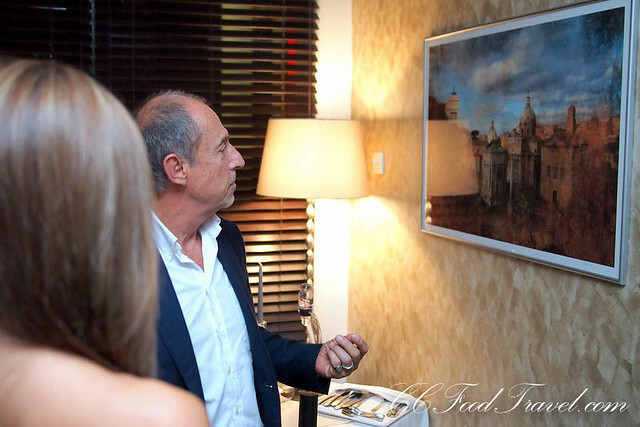 Chatting with Folco de Luca was really enlightening. 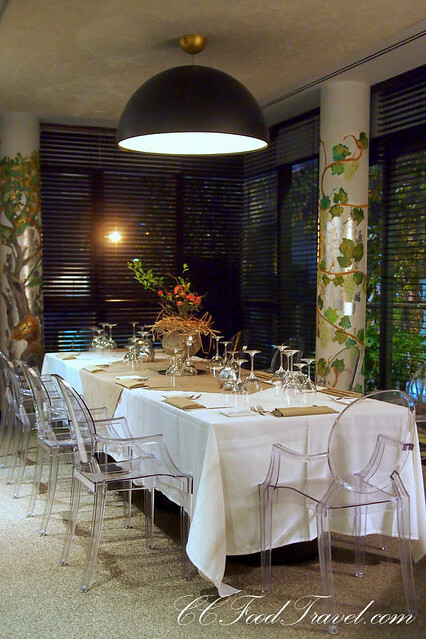 He told us that owner, Mrs. Nilou de Luca Gabrielli was proud of what La Scala had been transformed into. And where Il Lido used to be dark and cold, La Scala is now bright and cheery – everything from the newly painted columns in the private rooms, to the paintings that hang on the walls, has been painted herself or imported from Italy by the restaurant’s interior designer and owner, Mrs. Nilou de Luca Gabrielli. It’s amazing how a woman’s touch can transform a place into a thing of beauty. And where does one find the best pizza’s and pasta in Italy? Why, Naples of course! Enter Chef Lucio Russo. Famed for his fresh pasta, made daily and with great passion and heart, we knew we were in for a treat. 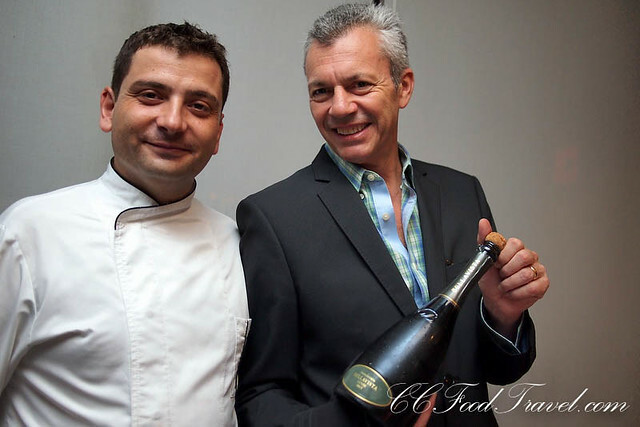 Add to that, charming restaurant manager, Renato Satta, and flamboyant advisor & sommelier Sante Losio from Venice, and you have a winning formula. We could not wait to get started. First up, the Amuse Bouche. 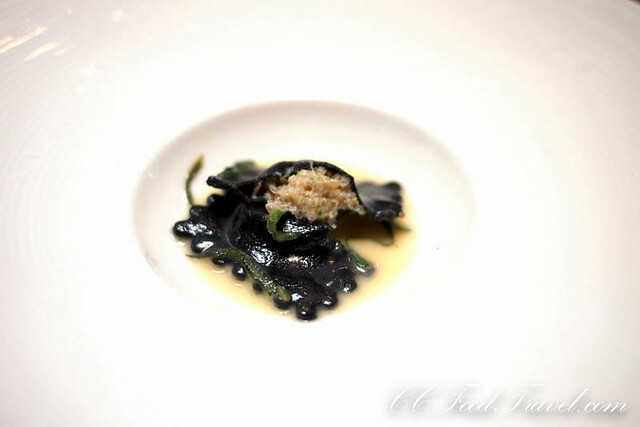 The Ravioli neri con insalatina di granchio or Black ravioli stuffed with crab salad, was a delightful morsel of yum. This homemade pasta that was stuffed with rich flavours of oceanic seafood was definitely a prelude of better things to come. It has to be said that Chef Lucio Russo, is the man behind an insanely exciting seasonal menu which includes fresh iconic pasta dishes, contemporary creations, as well as good old Italian classics. 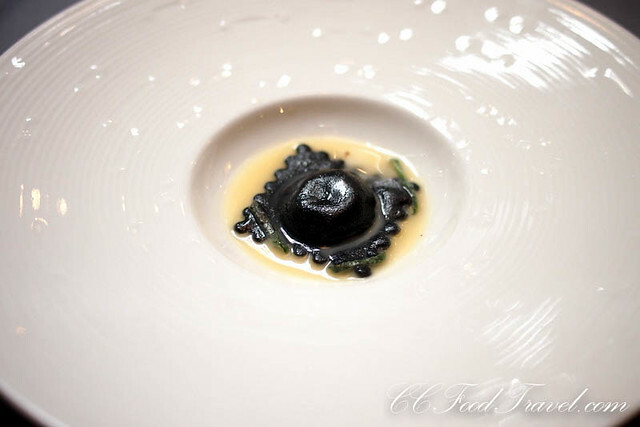 Whether the guest craves creative Italian cooking or traditional food-of-the-regions, Chef Russo has the skills to blend a variety of flavors and culinary techniques to create a fantastic dining experience. And no great Italian meal is complete without some terrific tipple to complement the meal. Here is the homemade Bellini, made on the spot with organic Prosecco as well as fresh slices of peaches and raspberry. 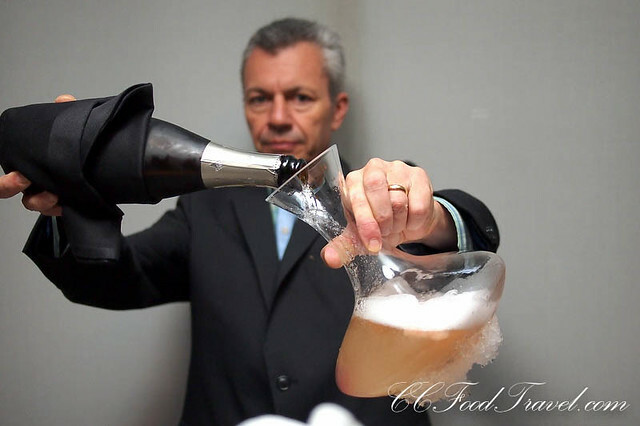 Sante Losio makes a rather elegant, gently sparkling, fine bellini as a refreshing drink to kick-start the meal. 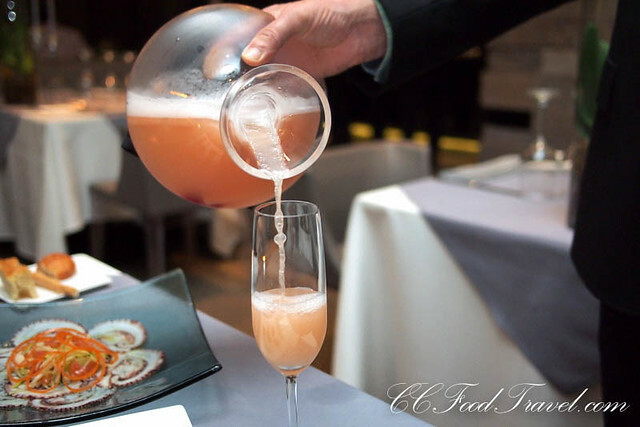 Nothing more than pure peach and raspberry purée with a low alcohol organic prosecco, it’s one of the best cocktails to whet your appetite at the start of an Italian meal, and complement it as well. 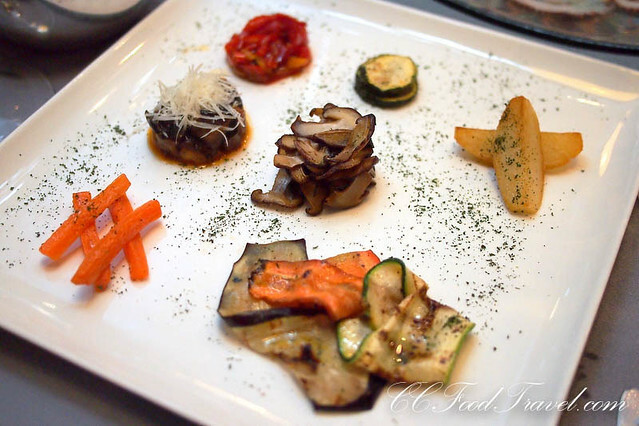 A platter of 7 types of Roasted Vegetables, and with varying temperatures – from cold to hot, these were healthy yet delicious. Loved the meatiness and earthy succulence of the mushrooms the best. Then it was time to move on to more decadent things. 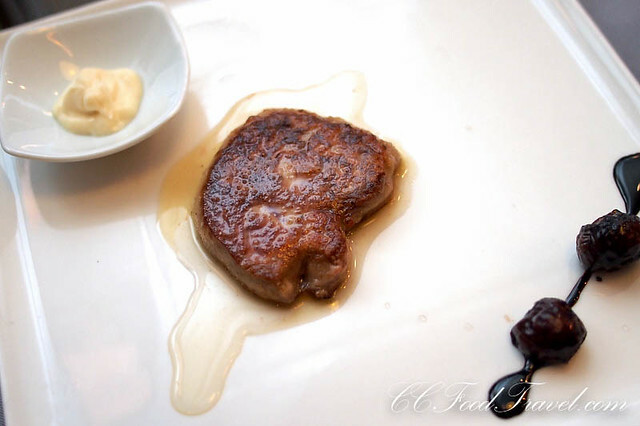 This Foie Gras with cheese fondue, organic honey and onion jam was unctuousness personified. The nicely caramelized outer layer, with the soft and fatty goose center, that melted all over our tongues was just too good for words. 100 points for the organic honey and onion jam that lifted the flavours and made the dish less heavy. I am a huge octopus fan. What can I tell you? This dish of paper-thin octopus was heaven on earth. Chef Russo really works his magic here. 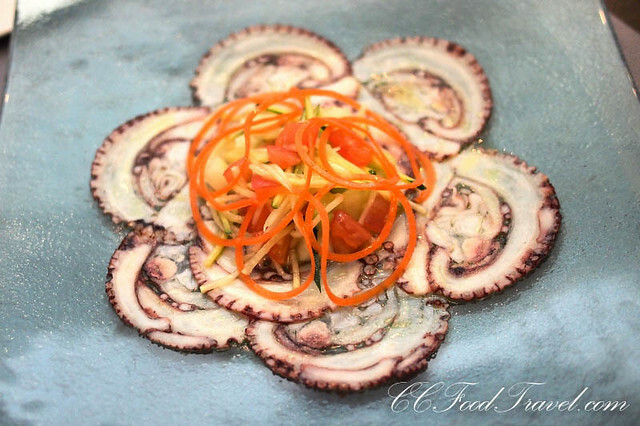 He turns a medium-size octopus into a cylindrical terrine, then slices it paper-thin. It’s truly ambrosial.. a work of art. Then it was time the pastas made an appearance. Like I said, Chef Russo’s handmade pastas are legendary. And did you know, that Naples, the Chef’s hometown, is the birthplace of pizza? In the production of a true Neapolitan pizza, the details matter.. the dough must have rested for the correct number of hours ( six, if you must know), it must be formed by hand and be of correct diameter and thickness, it must be cooked in a wood-fire stone oven etc etc.. The Neapolitans take their pizza seriously, as they do, their pasta. 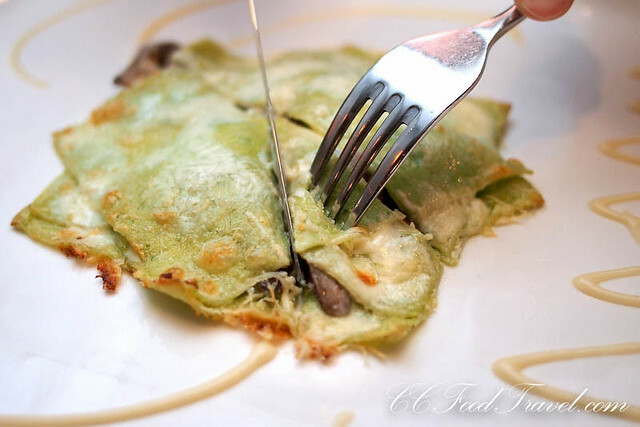 This green Lasagna with porcini mushroom and taleggio fonduta was simply divine. Rich, creamy, with enough of a meaty bite from the mushrooms, this was the bomb. Loved the chewy, al dente texture of the lasagna. 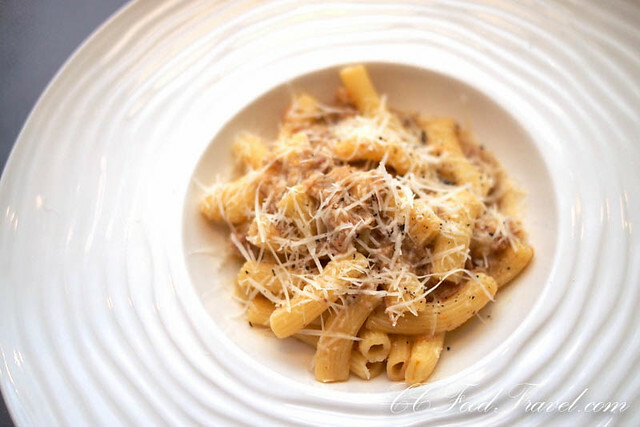 More pasta rained down on our table – here was the Short Pasta with organic Veal white ragout. In this dish, the sauce fitted the pasta – a tender succulent, veal ragu in a lovely reduced meaty sauce, tossed with handmade pasta again. The meat, the cheese —they hung on to the pasta when you lifted up your fork. Super decadent. Just like how a good homemade pasta should be. Then it was time to move on to something more sophisticated. Here is Italy’s answer to Champagne. A sip of this tipple has certainly reawakened my fondness for fizz. 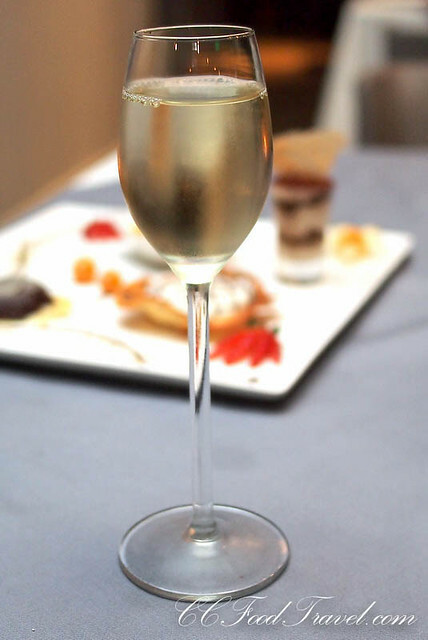 And if champagne is King, then prosecco is definitely the Prince. A worthy prince to be sure, but not one in the same league as a prosecco from Franciacorta, to whose voluptuous charms I have just recently succumbed. And how did I like it? 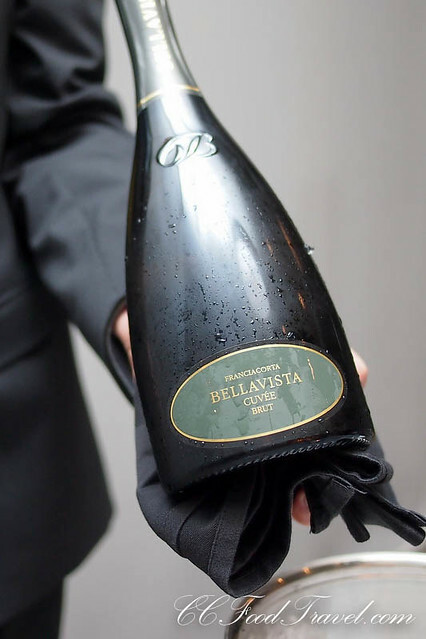 Well, the Bellavista Cuvée Brut with fine fizz from natural fermentation in the bottle, had rich mineral tastes and a sweet ripeness about it – derived from healthy rich Franciacorta terroir. Made with 80% Chardonnay, 20% Pinot Bianco and Pinot Nero, the bubbly is far more digestible than champagne and far more complex than your regular prosecco. You could drink a whole bottle yourself with no ill effect. I really liked it. Definitely my bubbly of choice if I ever see it on any menu at any Italian restaurant. Incidentally, La Scala might be the only place you can find it right now in Kuala Lumpur. You cannot talk about Venetian food without talking about Baccalà. Baccalà is a popular, traditional ingredient found on tables all over the Italian peninsula and it usually refers to cod fish preserved under salt then dried. In Veneto, baccalà is considered a real delicacy.. Baccalà alla Vicentina (slowly braised with onions, anchovies and milk) and Baccalà Mantecato (an elaborate preparation with extra virgin olive oil, lemon and parsley) are usually served with polenta. 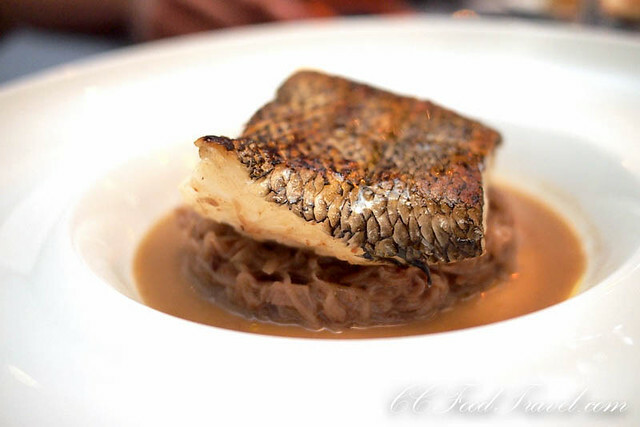 The flaky texture of the fish and its unusually intense flavor, makes this dish an unforgettable culinary signature. Chef Lucio’s version of Baked Cod with red “tropea” onions and cinnamon was saltier and had much stronger flavours. The bold flavors is attributed to a Napolitano’s preference for stronger tastes. I think it takes some getting used to – not my favourite but I can see why everyone should at least try it once in their lifetime! Another Dynamite combo. A delicious dish of crusted lamb chop with balsamic and pistachio reduction and crispy mashed potatoes. 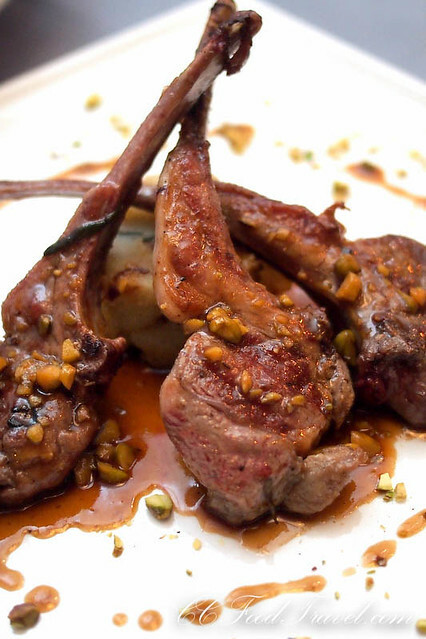 Crushed pistachios add flavor and a delightfully crunchy crust to lamb chops. The lamb chops were a gorgeous, tender, medium rare. Succulent without being too gamy, these chops were top notch. This selection of desserts was like having your cake, and eating it, too. 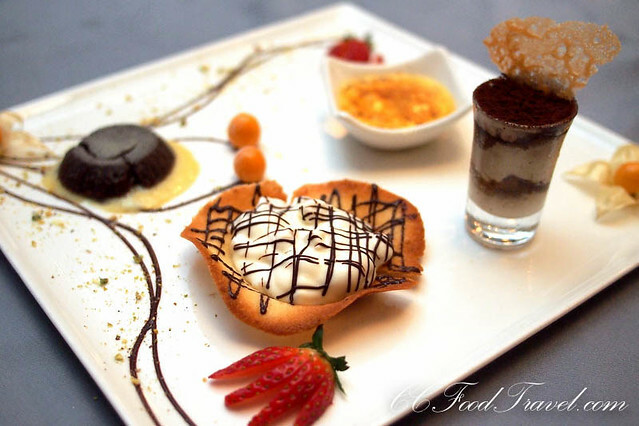 It came with a serving of Tiramisu with Italian chocolate ice cream; Ginger Créme Brulée with hazelnut ice cream; Araguani Valrhona Melted Chocolate Cake with vanilla ice cream and the Original Amalfi coast Buffalo Ricotta Cheese mousse with Pear in lemon syrup. 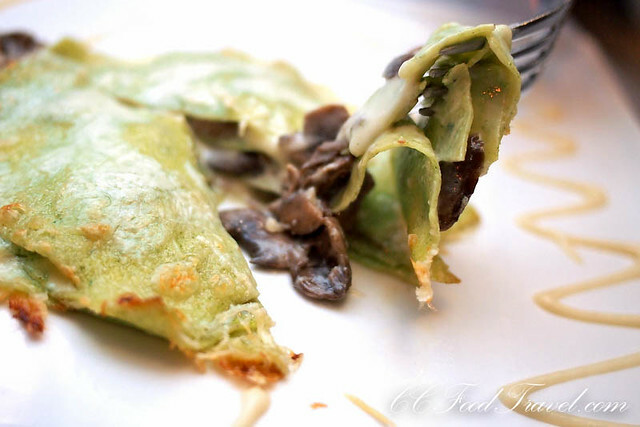 Paired with a delightful, fragrant Italian Moscato, it was the perfect end to a lovely evening. 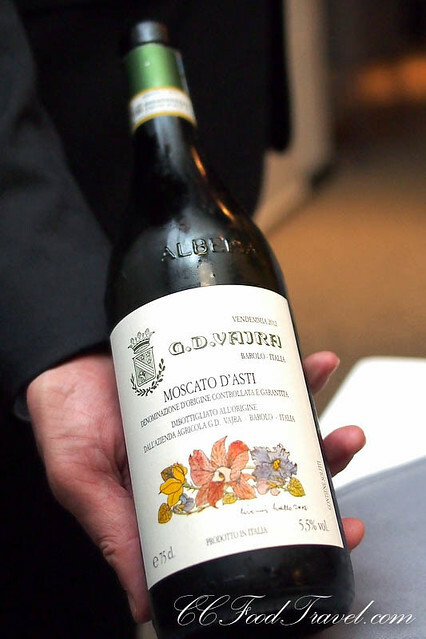 The G.D. Vajra Moscato d’Asti from Piemonte, had a decent, delicate fizz, and was persistent and creamy. The palate was semi-sweet and lightly frothing. Its taste was typically reminiscent of ripe orange-fleshed melons, apricots and peach – with citrus, followed by herbal notes. It had an uplifting perfume and although sweet, it wasn’t syrupy – it was a viscous drink but light and refreshing, a real perker-upper. Loved it! 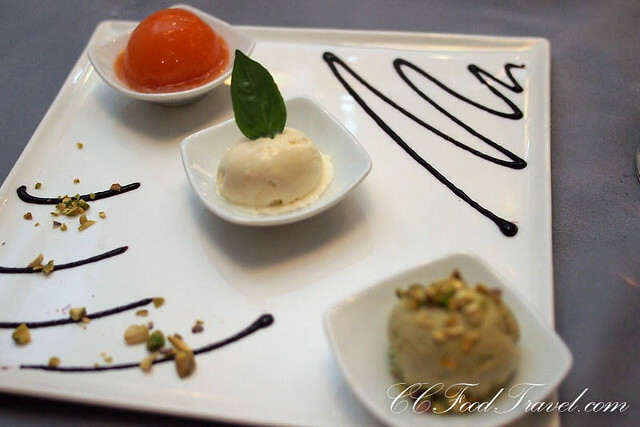 And finally, gelato to conclude the evening – Tomato, Pistachio and Olive … the perfect conclusion to a fabulous dinner. We will definitely be back for the Neapolitan pizzas next, if the chef is willing to make it for us, of course! 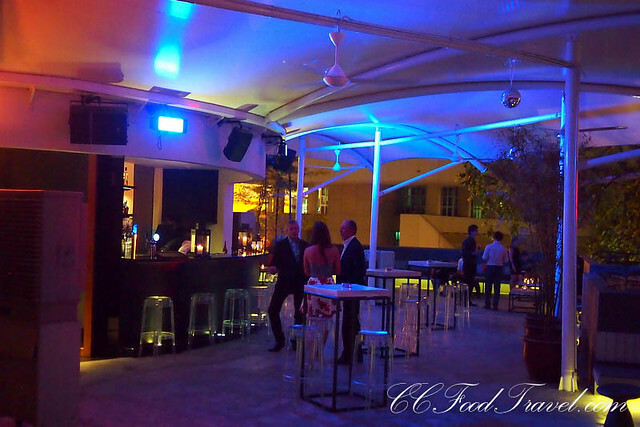 At the La Terrazza La Scala, the uber cool Rooftop Terrace, you get a magnificent view of Kuala Lumpur City skyline. There’s a seasonal outside terrace lunch menu buffet and a variety of Sandwiches and Salads at lunchtime which one can enjoy up here. La Terrazza also does Happy Hour and cocktails, so definitely the perfect place to chill-out at, after work. 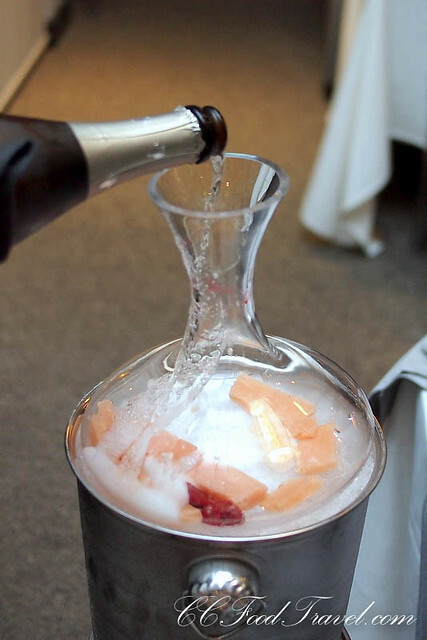 What a pretty way to serve Bellini. Everything looks delicious. looks like a real dining experience. i’ll have to check this place out next time i’m in KL!